After fixing the red tint issue on the newly released Galaxy S8, another problem has already popped up for Samsung to worry about. 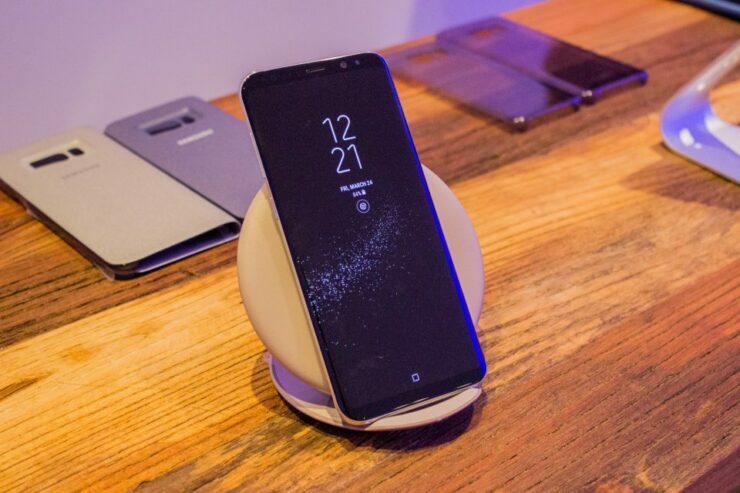 A small number of Galaxy S8 users have reported facing issues when using Samsung’s wireless fast charging pads. According to user reports, some of Samsung’s fast charging pads that are older than the Galaxy S8 – released for Galaxy S7 or earlier models – are unable to charge Galaxy S8 and Galaxy S8+. When a Galaxy S8 is placed on a fast charging pad for Galaxy S7, for example, a message blinks alerting the user that an irregular charge has been detected along with another “Wireless charging paused” notification at the bottom of the screen. Galaxy S8 users who have been trying to circumvent the problem suggest that using older Samsung pads with a non-Samsung Adaptive Fast Charger helps the pad to work with Galaxy S8. The caveat, however, is that the pad works at the “standard” slower speed and not the promised fast speed. The charging pads made by Samsung that currently appear to be working perfectly are the ones that were launched with the Galaxy S8 and Galaxy S8+ and the first ever charging pad released by Samsung, model EP-PN20. One user did report that they were successfully able to wirelessly charge Galaxy S8 using last year’s model. So, right now it isn’t clear why exactly the issue is only appearing for a handful of users. It is also not just the Samsung Qi chargers that are affected as users have reported a wide variety of Samsung Qi chargers and other brands that also appear to be impacted by this convoluted issue. In the Samsung Community forum, a Galaxy S7 user added that they faced the same issue when the Galaxy S7 and S7 edge were launched, as they too couldn’t be charged with older wireless pads. It is unclear whether this is some technique to avoid battery issues or if we should expect another software update from Samsung to introduce a fix to the Galaxy S8 wireless charging problem. The former theory is unlikely since Samsung mentions Galaxy S8 in the compatibility list of its Qi chargers. Here’s a brilliant video that demonstrates the issue. Do note that users are reporting different combinations of chargers and cords creating the issue or helping them to avoid the problem, so you might not be able to replicate the problem demonstrated in the video. We have reached out to Samsung for a comment on this Galaxy S8 wireless charging issue and will update this space with the official response. In the meantime, don’t forget to share with us if you too are facing any charging troubles and if some trick worked for you.